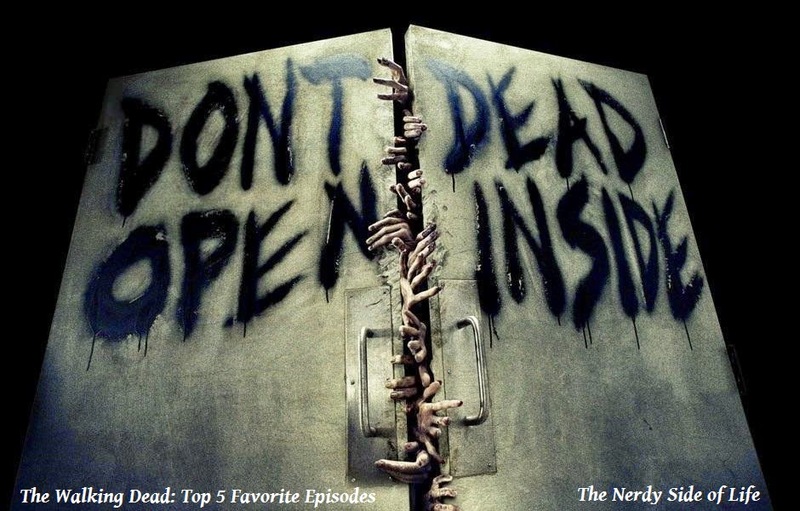 With season 5 of The Walking Dead right around the corner, I decided I would share my top 5 favorite episodes (in no particular order) of the series up to this point, and be warned there will be spoilers. I loved this episode for one reason, and that is because Rick finally grew some balls and showed everyone that he is not to be taken lightly, and if you don’t believe me then just ask zombie Joe. And also the bromance between Rick and Daryl was pretty cool too...no homo. 2.) Season 2, Episode 7, "Pretty Much Dead Already"
After watching this episode I realized that not even kids were safe in the post-apocalyptic world. Now sure we’ve seen zombie kids prior to this episode, but there was no real attachment to them because they were already dead when we met them, Sophia on the other hand was destined to be little Carl’s main squeeze…or so I thought. 3.) Season 4, Episode 14, "The Grove"
Just look at the flowers… ‘nuff said! 4.) Season 2, Episode 4, "Cherokee Rose"
In a world full of chaos and turmoil it’s nice to see love, and in this case the said love comes in the form of a budding relation between Glenn and Maggie (two of my favorite characters in the show). Sure they’re not in love in this episode, but you can clearly see there’s something there, and not only that but our boy Glenn gets himself some. 5.) Season 2, Episode 13, "Beside the Dying Fire"
Michonne is a total badass, uses zombies for pack mules, wields a katana as if she was one of the Teenage Mutant Ninja Turtles and is the reason why the Governor wears an eye patch. This episode was her appearance, and what an entrance she made, even if it was to save that annoying as all hell Andrea. +1) Season 4, Episode 10, "Inmates"
This episode introduces us to Abraham, Eugene and Rosita, who I actually think are great additions to the cast, especially Rosita…meow. Well there you have it, my top 5 favorite episodes (+1) of The Walking Dead so far, and I’m sure once season 5 ends my list will surely be extended. Awesome! We are big Walking Dead fans. Can't wait for it to start, and now they are also developing a spin off series. More Zombies! I can't wait either, it seems like it's taking forever. I'm so glad Hershel's head did not make this list. Never, I liked Hershel and hated when he died...and how he died. I can't argue with this post. All were good episodes. The only issue I had with "The Walking Dead" was Lori and that has long been taken care of. I do agree with you that Lori was annoying, but no one was as annoying as Andrea, I freaking loved it when she finally got hers.